Put your spiralizer aside and behold the bizarre (but tasty) spaghetti squash. True to its name, the mild-flavoured flesh separates out into noodle-like strands when it’s cooked. 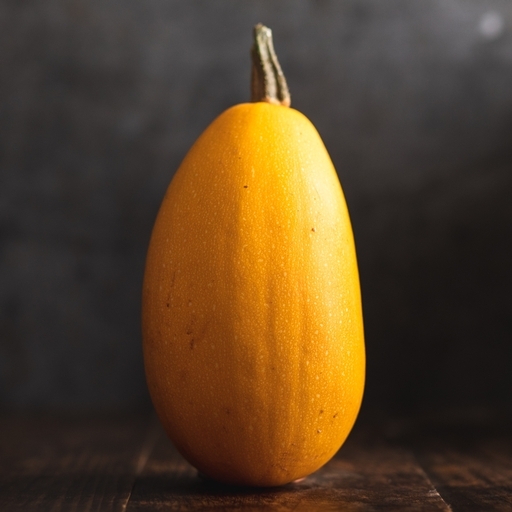 Don’t use it for recipes that call for chunks for squash; instead, roast it in halves, fork out the tender strands and top them with sauce, just like pasta. Preheat your oven to 200°C/Gas 6. Cut the squash in half lengthways and place cut-side up on a baking tray. Never put a squash in the oven whole – it may explode! Oil, season, then bake for about an hour, until tender. Let it cool, then arm yourselves with forks and scrape out all the spaghetti-like strands. Serve with any sauce you fancy, from pesto to a tomatoey vegetable ragù. Squash like to be kept dry and warm, at room temperature. They should be happy on a kitchen shelf or windowsill for up to a few months – and they make a colourful autumnal display until you’re ready to cook them. Once you’ve cut your squash, keep the remainder in the fridge and use within a week.